Broome is a coastal town in the Kimberley region of west Australia. Every year when all the conditions perfectly fall in place, a very interesting and brilliant natural spectacle occurs. They call it “Staircase to the moon“. It indeed looks like stairs reaching to the moon. Thousands of tourists and the local people gather to watch it happen. For it to happen the weather, sunset, moonrise and the tide conditions all need to be perfectly right. Before I tell you what happens there, look at a picture of this natural phenomenon. (Or it won’t seem very interesting if I tell you about it first). 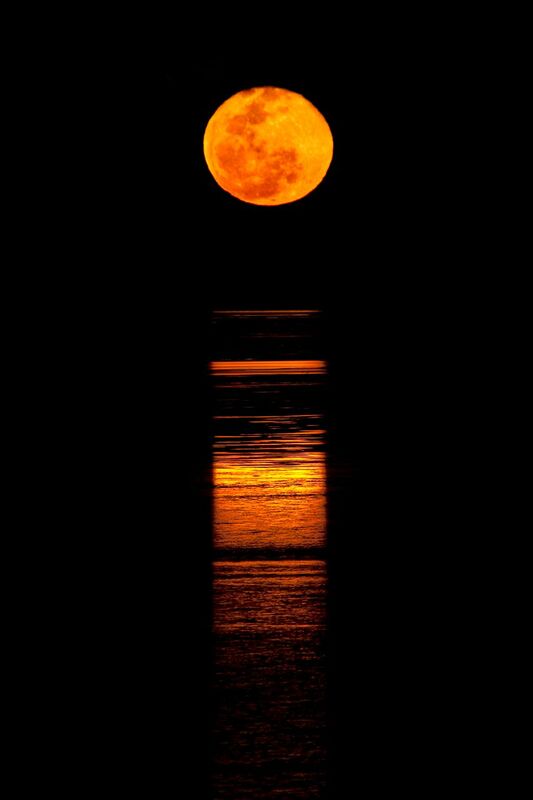 This happens only during the low tide at the coast when the moon is rising. During the low tide, the mudflats get exposed and the rising moon creates this mesmerising reflection on the sand. The natural phenomenon can also been seen from other coastlines at Onslow, Dampier, Cossack, Point Samson Peninsula, Hearson Cove and Port Hedland.